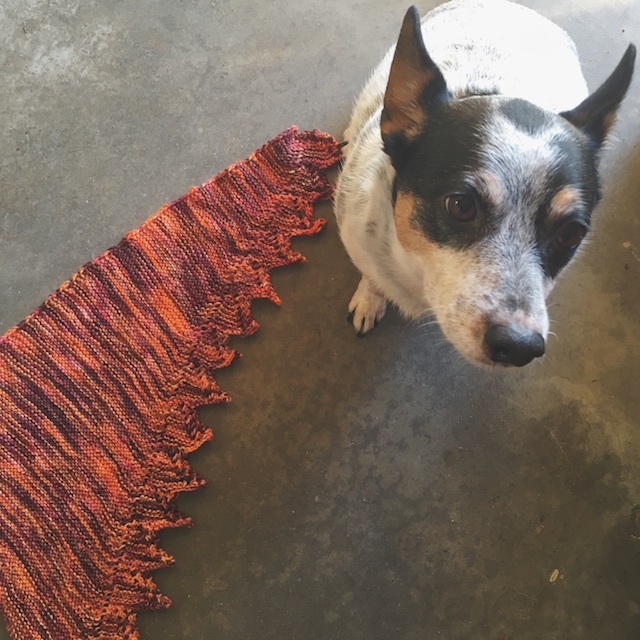 This pattern is called the Simple Spring Shawl, by Michelle Krause, but mine looks more Sunset than Spring. 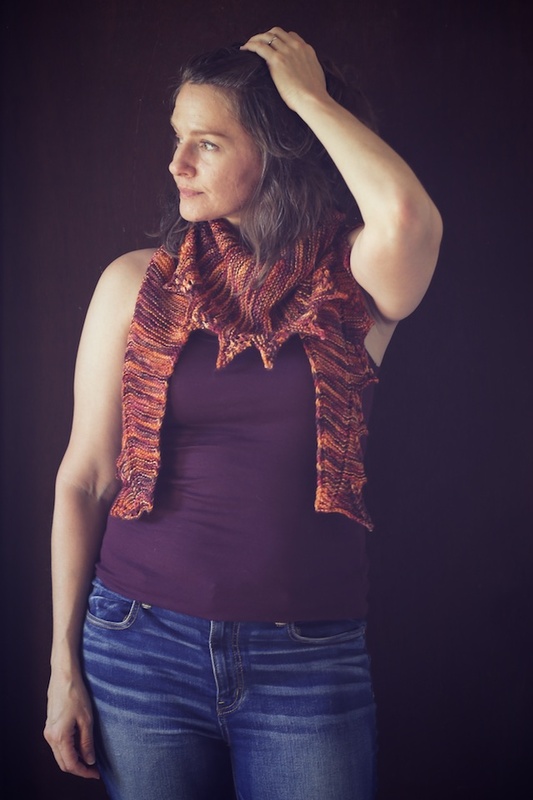 I have never used a variegated yarn for a shawl or scarf before this, so I wasn't sure about all the pooling and such that I hear other knitter's talk about. I'm so glad I tried it. 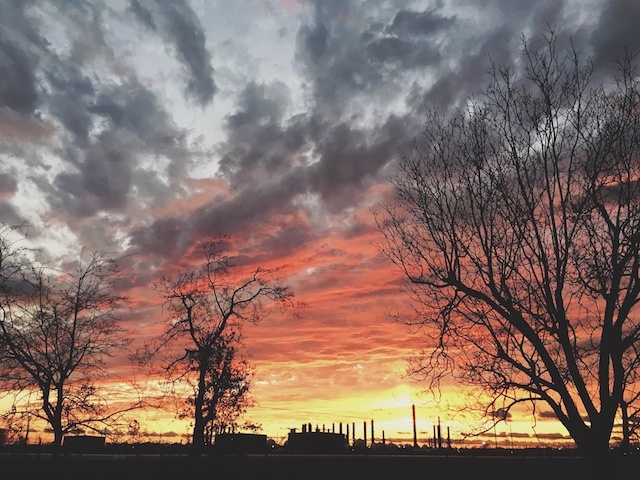 Isn't this the most gorgeous sunset? Must be all the chemicals in the air. 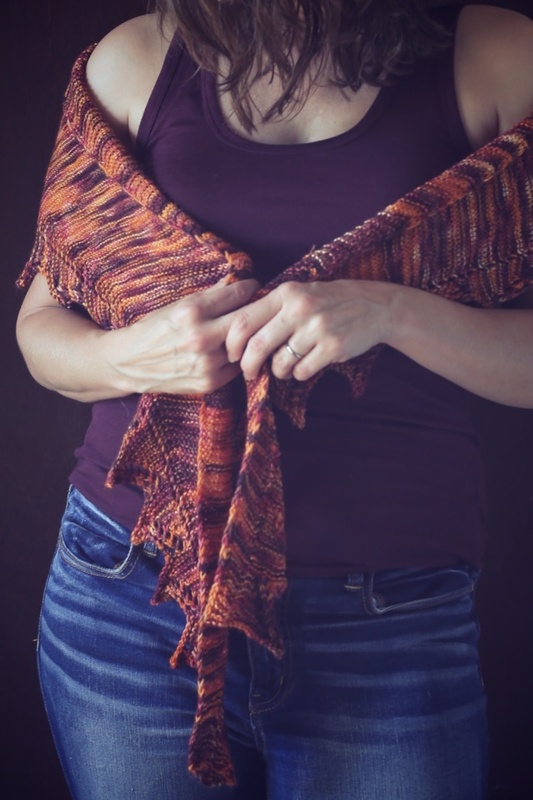 This is a side to side knit and crescent shaped, so the placement of colors was really consistent throughout the shawl. 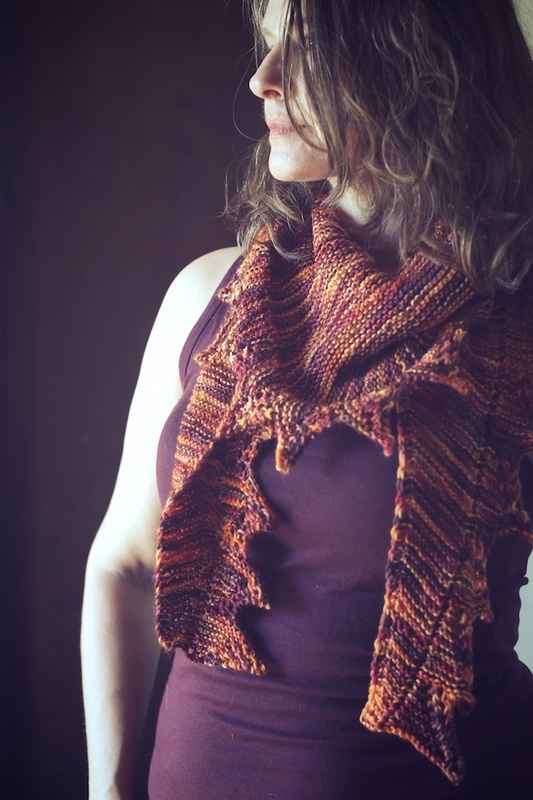 The garter stitch is like a textural striping that looks really good with this colorway. It also keept the lace-bordered from feeling too formal or frilly. Details: I used size 5 needles and Red Sock Blue Sock Yarn Co.'s Comfort Sock in the Muchier Muchness colorway. 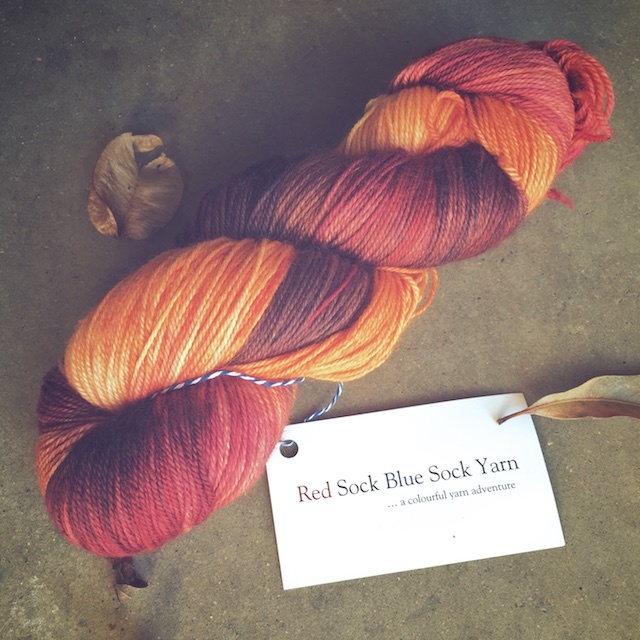 It was my first installment from their 2016 Yarn Club and such a beautiful mix of earthy red, brown, and orange. 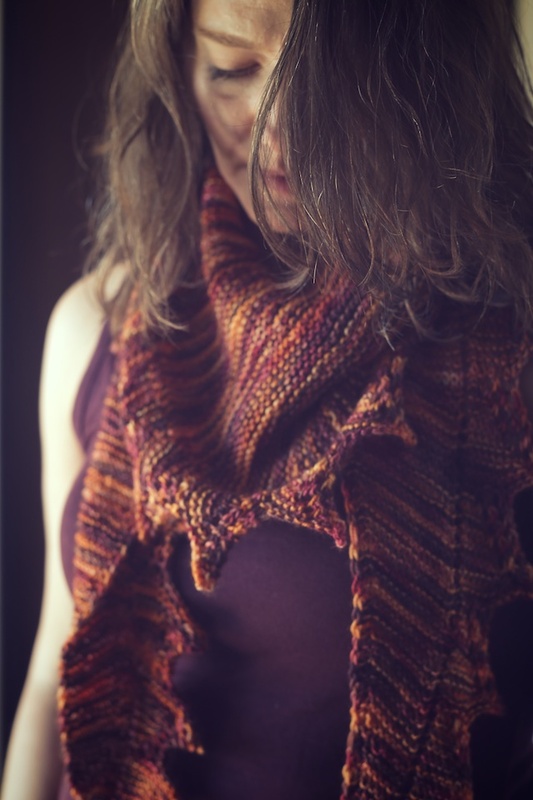 I really don't have many knits in those colors, so I was excited to cast on for something that could be seen. In other words, I didn't want to knit a sock. 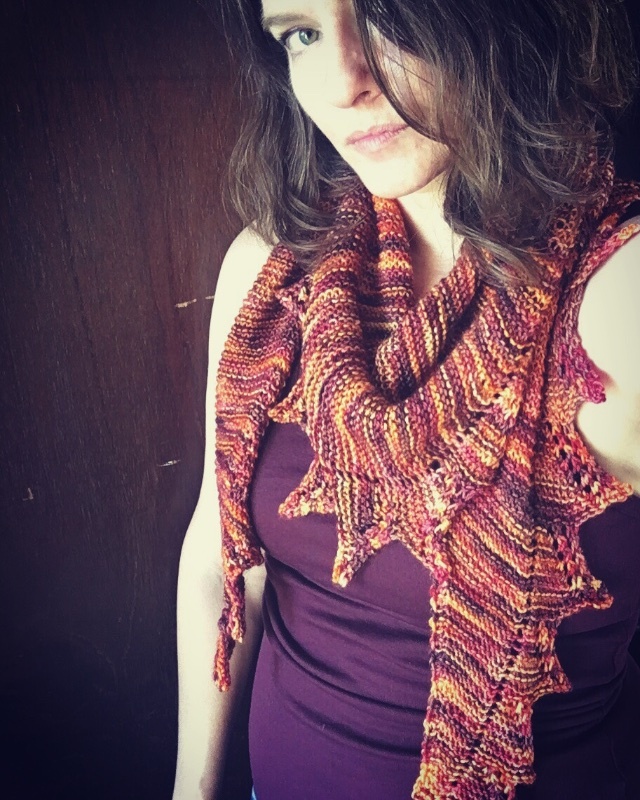 Michelle Krause's pattern is very easy to follow and went along so smoothly that I did an extra increasing section... which led to an extra decreasing section... which meant I'd need just a fraction of another skein of this colorway. 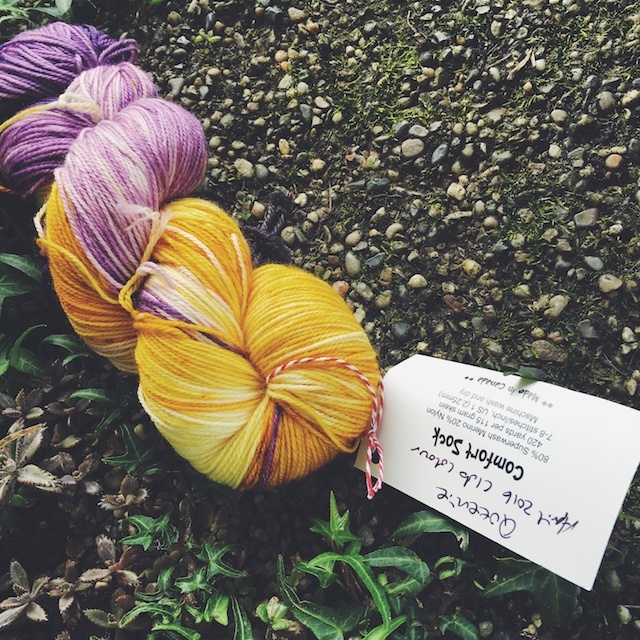 Thankfully Ashley had a few extra skeins reserved for club members who ran short. 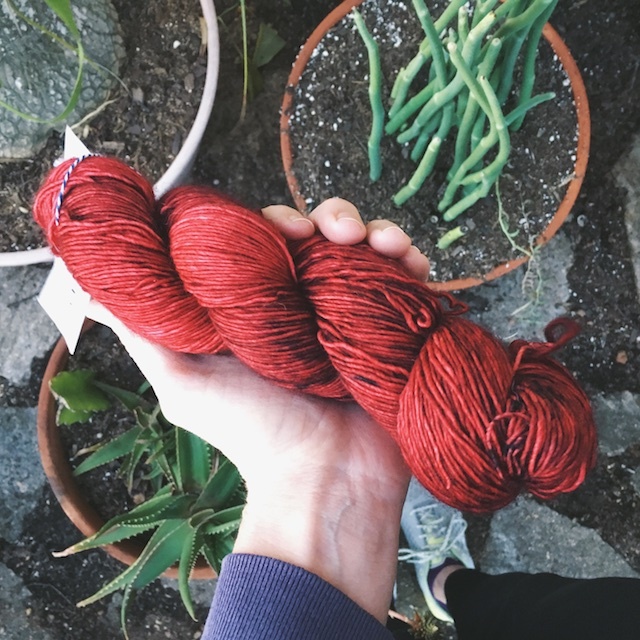 I only needed a fraction of that skein to finish my shawl, so it looks like I'll get that pair of socks in the Muchier Muchness colorway after all. And of course here's my selfie version of the shawl so I could post on instagram- not unlike Lucille Bluth's latest driver's license pic. 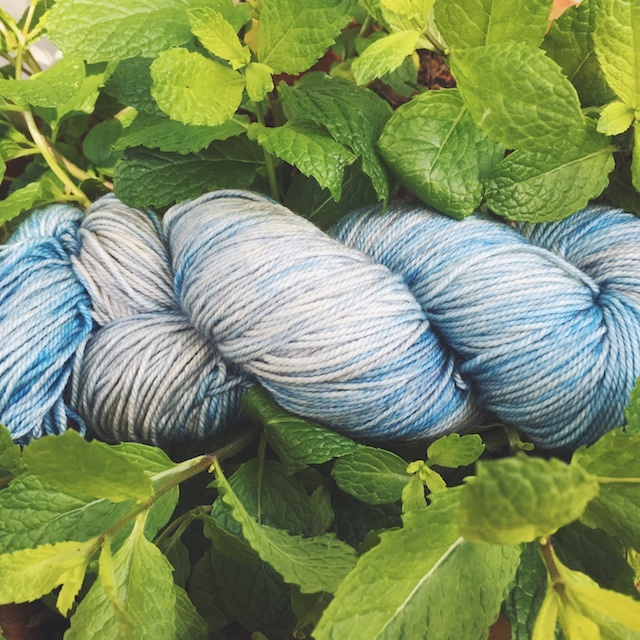 I am also dying to use their Stellar colorway for one of my Box o Sox projects. Ah, as soon as I get thru the next two knit-alongs, I'm devoting a few weeks to socks only. 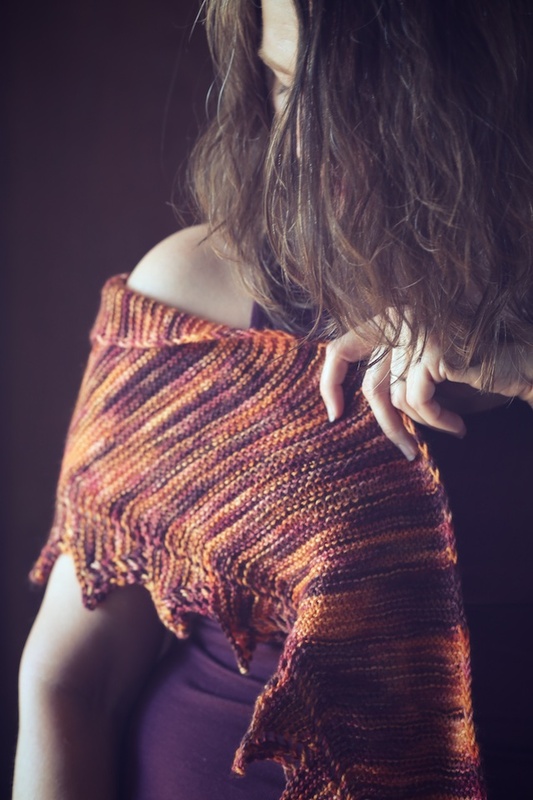 Other posts on this shawl are here: plotting and the yarn club.